During LEM334 we experienced a rather interesting opening towards Peru on November 13 around 05 UTC. At that time the band was rather quiet with weak signals from several stations many of them that turned out to be Peruvians. A surprisingly strong signal was noted on 1140 and turned out to be Chami Radio transmitting from the city of Otuzco in the department of La Libertad situated in the northern highlands of Peru. Together with Santa Rosa 1500v, TurboMix 1540v and Bethel 1570, Chami Radio was booming in on 1140 for about half an hour giving very frequent ID´s: “Chami Radio – Señal de Libertad”. A Facebook confirmation was received confirming my reception. Thank you Chami Radio!! Below a mp3 containing the station’s ID as received in Lemmenjoki. 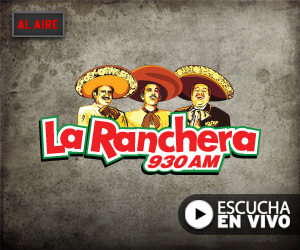 KHJ Los Angeles “La Ranchera 9-30” surprised with a nice signal on October 25, 2012 during LEM319 completely alone on the frequency which is unusal, taking into account “powerhouses” such as especially CJCA Edmonton but also KSEI Pocatello ID during cx towards the Mountain states of the US . Winter Horton, COO, Liberman Broadcasting, Inc confirmed my reception rapidly. Thanks Winter for your confirmation. A little bit ashamed, I report that I last night received a confirmation from Radio Amboró, Santa Cruz de la Sierra, Bolivia via Facebook. During the last 35 years I have been sending tens of confirmation request to this station without success. The original report stems from April 11, 1977 when the station was heard by a few Scandinavian listeners on 4915 in the 60 m.b. On April 11, 1977 the station was surprisingly booming in in the middle of downtown Turku (listen to the audio below). The only DXer I know of, reporting the station in April 1977 and who also received a QSL until now, is Johan Berglund (JBS) in Trollhättan, Sweden. Radio Amboró ended their transmissions on shortwave in the late 70’s but continued transmitting on 1250 AM at least up to 2008-2010 (still listed on that frequency in WRTH 2010, but might be incorrect old data). 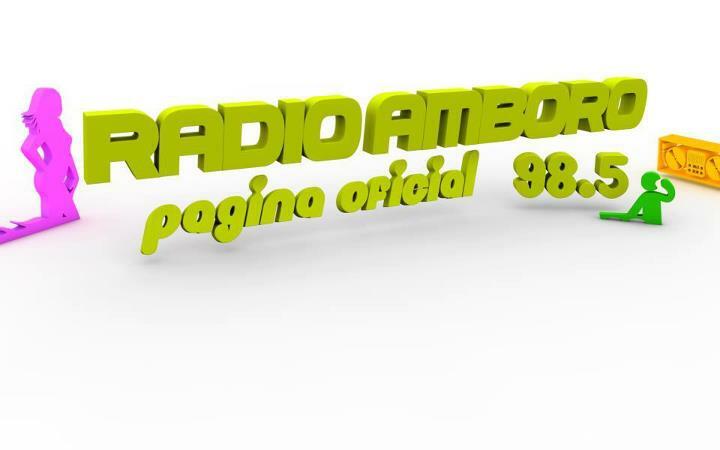 Nowadays, Radio Amboró is only active on 98.5 FM. The station’s name probably refers to Amboró National Park is in the western part of the Department of Santa Cruz , at the “Elbow of the Andes”, where the eastern cordillera bends slightly westward from its northly course. A very familiar morning-intro for all of us. Even if it was 1 p.m. local time at the reception site in Lapland, Finland it was very enjoyable indeed. Thank you CKJR! CKJR Wetaskiwin AB 1440 Good Morning! KLAC was heard in Lemmenjoki on January 31, 2009 during a good opening towards the Pacific sea board of the US. This frequency is occupied by many potential stations to be heard in Scandinavia, e.g., WNAX Yankton ND – one of the most frequently listed -; KNRS of Salt Lake City UT and; KVI Seattle WA, this excluding several stations from Canada. The sports station phading in was a nice surprise as it turned out to be “AM 5-70 in Los Angeles”. I got a rapid response from GM and PD Don Martin of KLAC telling me that it was KLAC ‘s announcer Tomm Looney that I had on my included mp3-file which I have included below. This station has been logged at several occasions during this and last year in Scandinavia. The frequency, 1360, is usually “blocked” by Rádio Bandeirantes of Rio de Janeiro. The frequency however holds several non-common brazilians that have been irregularly logged here. Among these can be mentioned R Cultura, Paulo Afonso, CE; R Cidade, Pato Branco PR (rare); R Ouro Branco, Currais Novos, RN (rare) and ; R Belos Vales, Ibirama, SC. I had the opportunity to hear R Iracema on May 8, 1999 (UTC) with good signal, and with the complete absence of the dominant R Bandeirantes. My report was confirmed by João Bosco Farias Aragão, Diretor Geral with a four page letter (that was the good old times! ), three audio casetts, a huge amount of station information etc. We, that were active long ago, remember the feeling when we got a notice from the local post office that one should pick up a postage from abroad. This was always a thrill. “Confirmamos todos os detalhes por voce relatado em sua carta, relativos a nossa emissora tais como, identificacão: Rádio Iracema de Ipú, prefixo ZYH-650, 1360 kilohertz onda média, potencia de 1000 watts etc. No dia 7 de maio de 1999, quando foi sintonizada por voce aí na Finlandia, nossa estacão estava realmente transmitindo um programa semanal de música intitulado “Programa do Boris”, que vai ao ar todas as sextas-feiras, no horário de 20.0 as 23.00 horas. Para melhor comprovacão, estamos enviando anexo tres fitas, com gravacão de todo o programa do dia 21 de maio 1999, no qual fazemos referencia a sua carta”. I include an mp3 audio below containing a fragment of the massive recordings I received. The frequency 1470 kHz has for long been one of the best so called propagation indicator frequencies on the AM band here in Scandinavia. At least earlier, I used to first check this frequency to check where the signals were moving. A reason for that was – and still is – that 1470 is free of interferences from European stations, the closest European channels being on 1467 and 1476, respectively. And 1470 has turned out to be a gold mine that never disappoints DXers, whether we look for catches from US/Canada, Central America, Orinoco, the Andean countries, Brazil or the La Plata region. During my years, I have received QSLs from 31 stations in South America transmitting on 1470. In addition to these many stations from US, México and the Caribbean. And the funny thing is, the frequency never seems to disappoint us, new stations are regularly heard. A personally nice memory is the logging, on June 2, 1991, of ZYH665 Radio Guanacés de Itapajé, CE, BRA. The station was first logged in Finland by Pertti Äyräs on May 20, 1991 only two weeks after the station went on air on May 5, 1991. 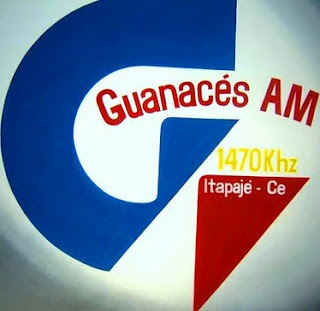 At the time of these logings the name Rádio Guanacés was not listed but WRTH1991 Edition listed a Brazilian CP-station as Rádio A Voz de Itapajé Limitada. I sent a tentative report including an old fashioned tape recording to Itapajé with the question whether the station really was on air. I received a very nice confirmation from José Ezaclyr Montenegro, Diretor Artístico and Eldo Rios Louzada, Diretor Geral together with half a kilogram of Brazilian coffee (! ), station materials and a 60 min cassette including beautiful Brazilian music from the program “Super Paradao Sertanejo” and a long personal greeting which can be heard on the enclosed mp3 audio file. Today Rádio Guanacés has an agenda focusing on the value conflicts arising within the local and national social sectors and finding a solution to the same. Rádio Guanacés continuously help local institutions in democratic debates concerning the region of Itapajé Uruburetama.